Capcom is gearing up to add a lot of new content to Monster Hunter: World. First, a trial version of the game will be available Dec. 11-17 on consoles. The Kulve Taroth Siege event will be back on December 20 and The Appreciation Fest will celebrate the game's anniversary in January 2019 with a Gathering Hub decorated for the occasion and special new quests and equipment. In early 2019, Geralt of Riva from The Witcher 3 will be playable in brand new quests thanks to a partnership with CD Projekt RED. Finally, in Fall 2019, the publisher will release the expansion Iceborne. Details, screens (crazy low resolution, don't blame us) and trailers inside. SAN FRANCISCO – Dec. 10, 2018 – Hunters around the globe can prance in joy! Capcom, a leading worldwide developer and publisher of video games, today announced Monster Hunter World: Iceborne™, a massive expansion for the highly-acclaimed more than 10 million unit-selling Monster Hunter: World™. The new content will be available for download in autumn 2019 for PlayStation®4 computer entertainment system and the Xbox One family of devices, including Xbox One X, with more details on the PC release to be shared in future announcements. The content-rich Monster Hunter World: Iceborne will feature new quest ranks, locales, monsters, moves and gear in addition to a full narrative experience that continues on from the ending of Monster Hunter: World. 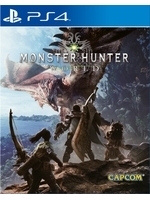 The Monster Hunter: World base game is required for the expansion and is currently available across consoles and PC. More information on the expansion will be shared next spring. 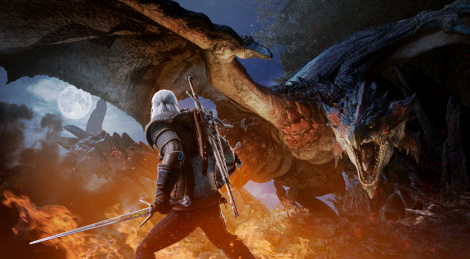 Kidding aside, it's great to see Capcom supporting Monster Hunter: World so much, specially with partnering with CD Projekt Red to bring the best monster slayer that ever lived, the White Wolf. I hope they support Resident Evil 2 and Devil May Cry 5 as well. For RE2, they could add some small episode chapters to link some stuff between some of the games. There's books and books of stuff outside the main games, so with a little imagination they can add some prologue/epilogue stuff as DLCs. Dear Capcom, now I just need a new Mega Man: Legends, Breath of Fire, Dino Crisis, Onimusha and Dragon's Dogma, then I'm all set.